A philosophical approach to tactical and remote medicine should be reflected in the gear (e.g., equipment and technology) chosen as well as the protocols used. The gear needs to be lightweight and small volume. As much as possible, it should have multiple uses, and there should be no redundancy with other items. When modern technology (e.g., hemostatic gauze, pulse oximeters, etc.) allows it to have unique applications, it should be used. Otherwise, if simple basic gear works, it should remain a staple (e.g., cravats). Protocols should reflect the goal to provide thorough care in an efficient manner. They should be straightforward and scaleable and be capable of being trained in a fashion that will allow them to become automatic under duress. 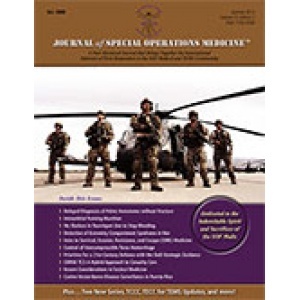 These guiding principles establish a basis from which the Special Operations Forces/Tactical Medic or PJ can operate to maximal effectiveness. 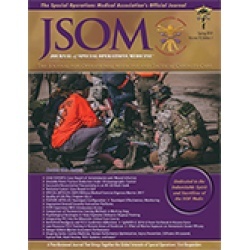 This article will describe current thinking in Pararescue as it relates to gear and protocols.